Post Office Banking – Which Form Will It Finally Take? 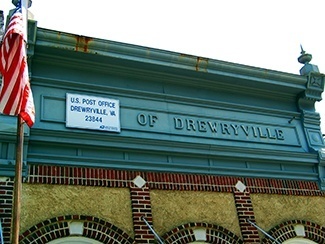 Perhaps they’ll go back to using the old sign if the postal banking proposal takes off. Once the early dust had settled, though, it became clear that perhaps a better question to ask was, “Why wouldn’t it work?” If you’ve ever been to a mini-bank branch inside a grocery store, or for that matter a McDonald’s inside a Wal-Mart, you’ve witnessed the exact same kind of relationship – cut overhead costs, share the increased foot traffic, and suddenly a business becomes a lot more viable than it would have been as a standalone venture. In particularly remote areas of any country, it’s not uncommon to see several businesses combined under one roof, where none might have survived on their own. Postal banks operate very successfully in other countries all over the world. There’s no question that the formula works. A year and a half on, the more relevant questions are, “What would a Post Office bank look like?” and “What would realistically be allowed?” That’s the focus of a new report issued by the OIG last week, which presents options from slightly expanding current services, to partnerships with existing banks, to a fully licensed Postal Bank. Each of these is in use elsewhere in the world, with varying degrees of success. Which one is it going to be? The Postal Service would obtain a banking license and staff its own banking windows in each post office, offering deposit accounts, loans, and other full-service bank products. While there are viable examples of this approach – notably Japan Post, which was once the largest savings bank in the world, with $2.1 trillion in deposits at the time of its privatization in 2007 – we think it would be almost impossible to pull off in the United States. In addition to the complexity of becoming licensed, and of suddenly operating by far the largest branch network in the nation, such a project probably would not be allowed under current law, as regulations largely prohibit the USPS from entering into new non-postal lines of business. It’s a nice idea in theory, but has almost zero chance of coming to pass. Imagine a branded banking counter from Wells Fargo, Bank of America, Chase, or some other such nationwide financial institution inside each post office, and you’ve got the picture. Essentially, the Post Office would be renting out space and letting the banks themselves take care of the banking part, which is a good thing, because it’s complicated. This idea has been tried at least once in the world, with good results. Brazil began its postal banking experiment in 2002 in a partnership with Bradesco, one of the largest banks in that country. The program was a smash success, bringing in an estimated 10 million new accounts over the first 10 years, many of them from individuals who had no access to banking services before. The deal was also lucrative for the post office: In 2012, Bradesco was outbid for the postal banking concession by Banco do Brasil, which paid $1.7 billion for a five-year deal. One could expect a deal for the American postal banking partnership to be even larger. Another advantage evident in this approach is that, with a heavily invested partner and a ticking clock, the bank that won the deal could be expected to be aggressive about setting up services quickly and winning new customers. The UK has had a successful postal bank for years. Instead of a bank-specific mini-branch, you could walk into a post office and do transactions to or from an account with any bank. Britain’s post office, for example, lets you deposit money with 24 different financial institutions. Australia’s Bank@Post program gives access to more than 70. This would probably be the most convenient for the end-user customer, and we suspect many banks would be racing to sign up for the opportunity to “expand their footprint” nationwide, without building any new branches. But there would be challenges. In the U.S., it would probably be impossible to accommodate every bank and credit union, as there are several thousand of them. And since the USPS wouldn’t be directly outsourcing the banking operation to any one partner, someone with banking knowledge (and a license) would have to be brought in to run the whole thing. Revenue would most likely come not from auctioning off the rights to a partnership, but on a per-transaction basis. Which method will win out? If we had to guess, the second option, contracting with a single bank to do everything, seems the likely winner. By auctioning off the rights in advance, the revenue would be certain; by contracting with a single partner, the complexity is reduced and the whole operation essentially outsourced. If no one bank wants the entire nationwide concession, it’s also plausible that it could be parceled out by state or by region. The “Portal” option would be more customer-friendly, but it – as well as a “Marketplace” idea suggested in the report (different banks offer different individual services) – may well be too much to pull off from a cold start. Whichever choice wins out, though, it seems like the chances of postal banking becoming a reality are now better than ever.